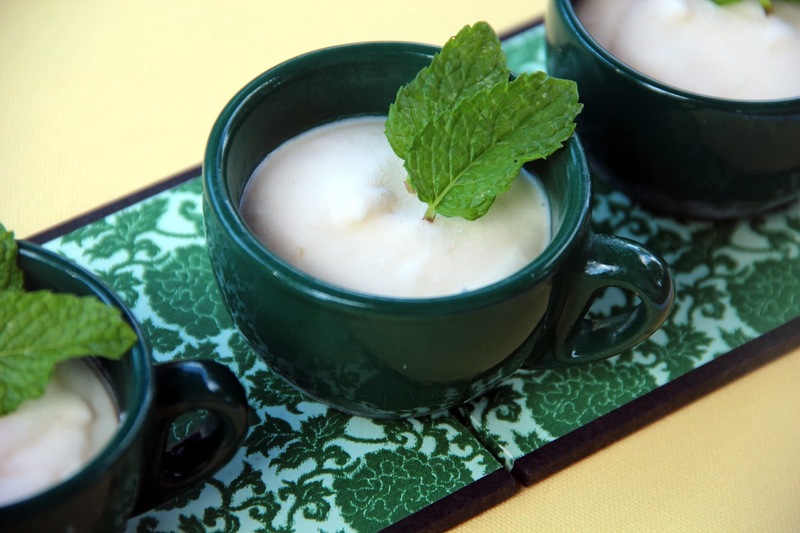 I used some Anathoth Farm lemon curd and some coconut cream to create these luscious little pots of ice cream. The lemon flavour is the strongest. The coconut cream adds a subtle tropical note. Beat the coconut cream for 1 minute. Beat in the lemon curd. Pour into four tiny pots or ramekins. Freeze for about 6 hours or until it sets to a firm ice cream consistency.